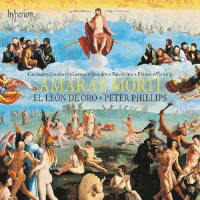 For this project, Peter Phillips leads El León de Oro (rather than his usual ensemble, the Tallis Schol ars) to explore sprawling works about death and life. The choir’s 30-plus members give Phillips the heft this music requires. Corri spezzati, double choirs, dense eight-voice polyphony, sombre Lamentations that progress to joyous affirmations such as Palestrina’s Laudate pueri – this is the broad canvas that Phillips fills. 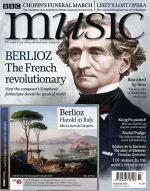 The programme mixes Iberian with Franco-flemish composers both familiar and unfamiliar, and hot musical rhetoric with austerely cold polyphony. Phillips pounces on all the details that matter: dissonances crunch satisfactorily, imitative points are tightly nested, and light streams through thick homophony. The subtlety with which Phillips builds ever so slowly to the climactic final bars of the double-choir Laudate pueri is masterful. The choir is fresh-sounding, and its ensemble is assured. It delivers the giddiness of Victoria’s Regina caeli with panache. But the innocence of its vocal quality, and its submissiveness to Phillips, left this reviewer wishing for an edgier sound. Take, for instance, Dominique Phinot’s gorgeous corri spezzati setting of the community lament from the final poem in the Book of Lamentations. As the lament progresses from reflection (‘we ceded control to Egypt’) to recognition (‘Jerusalem turn to the Lord’), Phinot’s lower-register four part writing yields to a cry voiced in eight parts. Yet we don’t hear suffering followed by realisation; the choir just sings beautifully. This recording is titled Amarea morti, or ‘bitter death’ – the expression of which is perhaps not this choir’s forte.